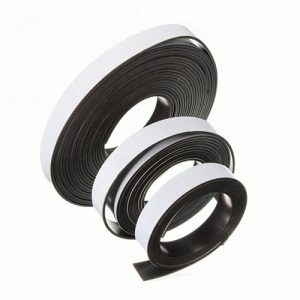 Plain magnetic strip are made of ferrite magnet powder, CPE and other materials. 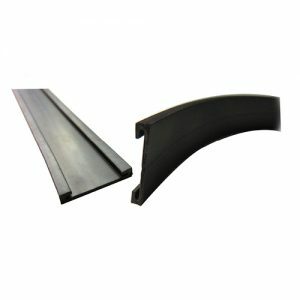 Consists of a mixture of high coercive ferrite powders and high quality thermoplastics. Meet with international material safety standards. Isotropic, anisotropic, semi-anisotropic materials are available. 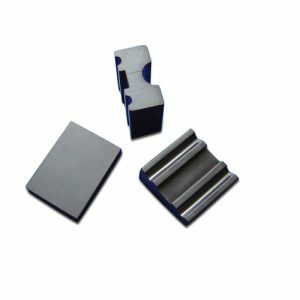 Single side-multi-pole-magnetized, double side-multi-pole-magnetized, axiallymagnetized are available. 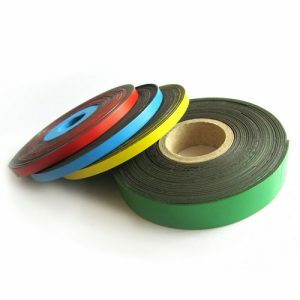 one size magnetized,and two–side magnetized roll and sheets can be supplied to order. package:one roll into one carton,15/30cartons on one pallet. Easy to install and remove, recyclable, economic, environmental friendly. Flexible, Easy to cut, Strong magnetism. No heavy metal and hazardous chemicals. Used in the door gasket of refrigerator, disinfector, distillatory and cabinet, disinfect the cabinet, kitchen cabinet, steaming bath tube. 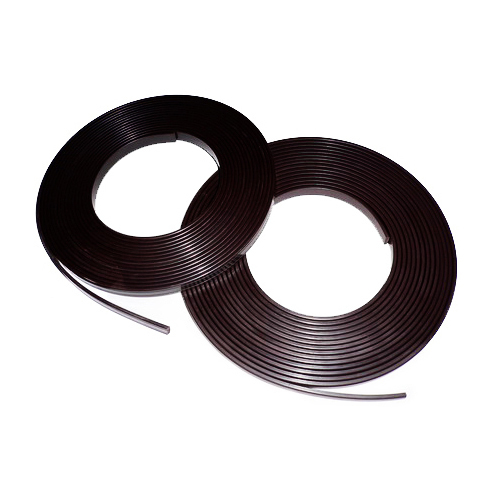 Also, used as car sealing gasket and other soft gasket.